Please shed light on the next frontier for digital technologies by VMware (Cloud, Server and Automation) for the public sector. 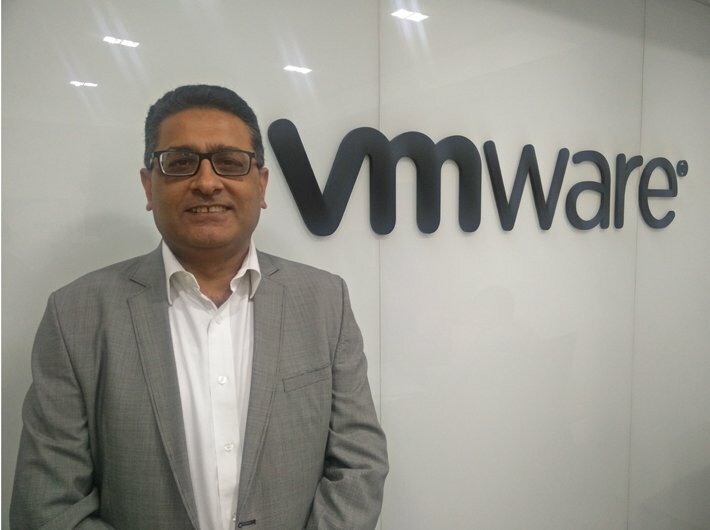 How does VMware help the digital transformation of PSUs and the government? VMware remains active as a key enabler of digital transformation for the public sector. We primarily focus on four pillars – modernizing data centers, building Private Clouds & integrating public clouds, empowering the digital workspace and transforming security. Today’s digital transformation is driving rapid and fundamental changes in businesses and their operating models, similarly, government agencies will do well to transform their data centers. VMware enables IT organizations to modernize data centers and deliver IT infrastructure and application services with the speed and agility to support business innovation and growth while optimizing total the cost of ownership. The virtualization of IT architecture primes an influx of added agility, scalability and security readiness across all levels of government. Such flexibility in turn supports greater mobility for workforces, greater control and security, and greater collaboration across all sectors and geographic boundaries. Government agencies—more than any private sector service—truly stand to gain the most by adopting digital workspaces. While military and defense agencies may have to abide by a different set of rules, regulations and best practices when compared to civilian agencies at the local level, the infrastructure that powers a mobile government workforce is not limited by agency type. In other words, all agencies—from the Department of Defense and CIA to local law enforcement and transportation authorities—qualify for and benefit from digital workspaces. All businesses are now digital businesses, from a security perspective this creates a challenge. Traditional network perimeter security models are no longer sufficient to protect the increasing sprawl of applications and users. These challenges create much more complexity for public organizations in ensuring and demonstrating compliance, with IT teams having to spend a significant portion of their time on compliance efforts instead of focusing on tasks that drive real business value. VMware helps IT organizations transform security by leveraging a ubiquitous software layer across application infrastructure and endpoints, maximizing visibility and context of the interaction. How does VMware solutions help the government in overcoming complex challenges and mission-critical problems? IT departments in Government organisations are expected to achieve mission objectives while demonstrating accountability and value against a backdrop of flat budgets, organizational silos, and risk-averse culture. Citizens expect a more responsive, flexible and innovative government. VMware helps Governments to create agile infrastructure to meet its demand quickly. By using virtualization and cloud technologies, Government departments can deploy new applications at a much faster rate. VMware NSX for instance, gives government agencies a new class of secure infrastructure that detects and protects against a rapidly evolving threat landscape while reducing cost and complexity. VMware addresses the speed at which government employees are adopting mobility and revolutionizes service delivery by integrating identity, application and enterprise mobility management to deliver a consistent, unified workspace available across any computing environment. The Secure Digital Workspace for Government, powered by VMware Workspace ONE, enables employees to access government resources in a secure manner, access data and applications anytime, anywhere, and on any device – transforming workflows and advancing missions. With Workspace ONE, government agencies will enable mobile access to government resources, achieve continuity of operations for all employees and secure agency data, desktops and devices. What is the current state of cloud adoption by the Public sector? How do you foresee in next five years? Cloud adoption is increasing in Public Sector rapidly. Meghraj, built by NIC has grown exponentially over the last 2 years. Quite a few State Governments have built their Private clouds. With CSPs appointed by Meity, option for a Public Cloud is also available with the customer. This too is propelling the growth of Cloud adoption among Public Sector. How can the public sector embrace new technology trends such as Cloud and mobility? VMware works towards enabling the public sector to adopt a hybrid cloud strategy that drives digital business transformation. With VMware’s Cross-Cloud Architecture, the power of clouds is harnessed making them ready by extending the capabilities of the private cloud technologies. With this, public agencies can manage, connect and secure their applications across multiple private and public clouds and devices. Importantly the Cross-Cloud Architecture supports IT adoption of public or private clouds without creating cloud silos. This provides a control plane for common management, policies, networking, and security across private and public clouds. There is a growth in adoption of digital workspace solutions by many Indian organizations and this is possible with our Workspace ONE solution. Workspace ONE is a digital workspace platform that simply and securely delivers and manages any app on any device by integrating access control, application management and multi-platform endpoint management. This allows a user-authentication centered model across the company. This way public organizations have a unique ability to combine the up-front user authentication with security that’s adapted to the context of access and the ability to see who is using which device, from where, and create conditional access. How can the Public Sector organization use tech innovations to drive growth and achieve tangible business results? To truly embrace the benefits of a mobile workforce, government agencies need a modern approach to manage data, applications and identities across devices. This modern approach to computing not only addresses the influence of mobility in the workplace, but also enables IT outcomes to improve security and the efficiency of internal operations. The primary outcome of a digital workspace is workforce mobility, which means empowering personnel with remote access to government resources. Unlike a traditional workspace built from the client-server computing model (with applications, workloads and users tightly intertwined with physical hardware), the digital workspace relies on the cloud and other mobile technologies to enable secure remote access to government resources across devices and locations. This modern approach to computing not only addresses mobility’s influence in today’s workplaces but also embraces IT modernization to improve service delivery, mission outcomes and internal operations. This further enables the government to implement citizen services and aids in enabling employees to work from remote locations. Improving security of public sectors not only helps streamline security policies by enhancing security controls and allow for better networking management, it prevents data loss, reduces the risk of a data breach and all this in turn builds trust among citizens. Additionally, virtualizing data center helps manage a datacenter more effectively and can help seamlessly integrate and manage private cloud environments with public cloud offerings. This enables agencies to scale, be flexible and cut down on cost operations as it saves on IT support, hardware, capital and data center storage.